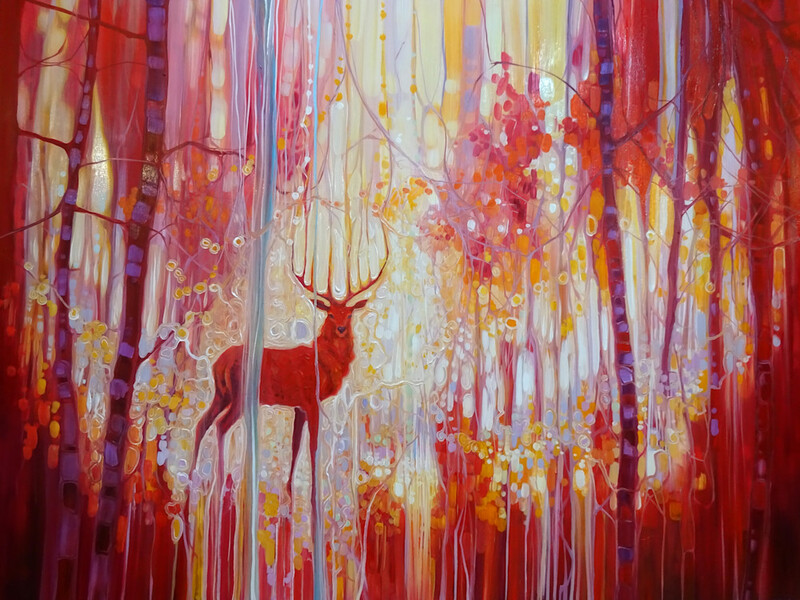 This painting is of a red stag in a red and yellow autumnal forest. The red stag looks at us having emerged from the trees. He wonders why we are there. Although he himself is bright red he is still fairly realistic but a crack in the scenery divides him from us and there are patterns around him that make the painting slightly abstract and art nouveau. As always the painting was inspired by the small glimpses I get of deer on my regular walks in Sussex. They are always slightly mystical and the glimpse is always fleeting but stays with me.